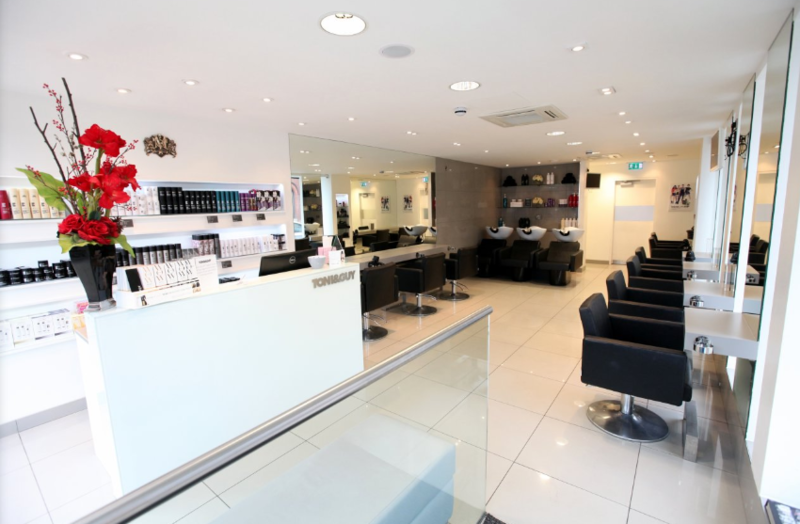 Award winning salon with Perfect Salon status, located in the heart of Didsbury Village. Specialists in Cutting, colouring, hair extensions and styling. One of Manchester's leading salons for wedding and occasional hair. We also offer exclusive hairdressing in our private salon situated on the first floor. All of our staff hold the prestige TONI&GUY vardering award and are regulars at London Fashion Week. Good attention to detail by Gaz. Polite, interested and careful. First time at the salon and Charlotte was great. She listened to whqt i wantes and I am very happy with the cut and the advice she gave me! Will come back again! As always a top haircut. Scott has been cutting my hair for 3 years now and always does a great job. He is friendly and accommodating - and his hair advice is usually right. Highly recommend. Lucie was accommodating and very nice to speak to, happy with her cut! Love the colour and great service. Thank you Claire for your 5 star review. I hope to see you in the salon again soon. Great experience and result. Felt 5 years younger! Thank you Kerstine, was lovely having you in the salon. So glad to hear you loved the final result! Kelly was confident in what she was doing and professional she had her opinion on the style I wanted but she always asked me what I thought and never went ahead. The staff around was welcoming and freindly. Thank you Helen. Always great seeing you in the salon. I have a serious health condition which has started to make my hair fall out. When I got to my appointment last Friday, I just broke down in the chair. Abbie was so kind and caring and made me feel comfortable. She gave me an olaplex treatment to fight the damage and such a beautiful blow dry. I cannot tell you what it means to regain some of your femininity when your disease tries to take it away from you. I was so mortified about my blubbering as well but Abbie was great at putting me at ease and making it feel like it was no big deal at all. Thank you for such a wonderful review. We are so pleased to hear that your experience with us has helped to regain that sense of confidence again. It was a pleasure having you in the salon, we want you to feel happy and at ease when you're with us and we look forward to seeing you again soon. Thank you Cathy, it is always a pleasure having you in the salon. I hope to see you again soon. Has a wonderful cut after my colour with Charlotte. A small amount taken off the length but lots of reshaping. Was dried off and curled to finish off to show off my new colour. Thank you so much. Thank you for your 5 star review Dorna, see you in the salon again soon. What a lovely review, thank you so much Dorna. It was a pleasure having you in the salon, hope to see you again soon. Thank you Lydia for your lovely review. I hope to see you in the salon again soon. Always excellent service. I will keep coming back. Thank you for your 5 star review Monica - hope to see you again soon. The keratin treatment result was excellent. My stylist was very professional and did a great job. Thank you. Thank you for your great review. We are pleased to hear you were happy with the result. Scott was lovely, he ecplained all the products he was using and why. He listened to what style i requested and delivered exactly what i asked for. Very pleased with my new and fresh hair cut. Will definetly return. Thank you Gale for your lovely review. So happy you were pleased with the result. Will be great to see you in the salon again. I am thrilled, my hair looks Amazing. Thxs Gaz. Wow! Evie is by far the most incredible talented colourist out there! Had my colour done with her a few times now and it just gets better! Well done evie!